Our opening school mass is this Friday, August 17th at 9:00 a.m. Please join us. We will also be having mass tomorrow, Wednesday, August 15th at 9:00 a.m., as it is a Holy Day of Obligation; The Feast of the Assumption. Our new first grade teacher, Ms. Connie Welch, comes to us with a love for children and decades of educational experience. Ms. Welch worked as a special education paraprofessional in Granite School District for 15 years, helping teach elementary-aged children with disabilities, developing curriculum, and implementing occupational and physical therapy. She then worked for 13 years at American Preparatory Academy and for 2 years at Wallace-Stegner Charter School. Ms. Welch taught in grades kindergarten through 8, spending over 5 years in the lower elementary (kindergarten-2nd grade). Most recently, she was an instructional coach–the person who helps teachers become better teachers. Ms. Welch is a member of St. John the Baptist Parish and is a secular Carmelite. We are very blessed to have Ms. Welch in our community! Last week, our P.E. teacher, Brian McCloud, took a teaching position at another school. However, the students are going to love our new P.E. teacher, Mrs. Emily Ellis! Mrs. Ellis taught P.E. for several years in a charter school in Salt Lake City and in two schools in Arizona. She received her Bachelor’s Degree in Exercise Science. Mrs. Ellis is highly positive and excited to be at St. Vincent’s. Recess will not be held outside on red or orange air quality days. With parent/guardian request, teachers will make special arrangements for students with asthma on yellow air quality days or if a student’s asthma necessitates restricting strenuous physical activity. Homework lab, which is for grades 3rd-5th and 6th-8th, will start August 20th. Please look at the school website for the homework lab schedule for the school year. Mark your calendars for Back to School night: Thursday, August 23rd at 6:30 pm in the gym. This is for parents only. We ask that at least one parent attend. We will have two different classroom sessions to allow those of you with multiple children to meet all of your teachers. If your student has any medical needs such as an epi pen, inhaler, or other medicine that the office needs to administer, please bring these into the office with your student’s name and instructions. The Parent and Student Handbook, and Middle School Handbook for the 2018-2019 school year are posted on our school website. We will be sending out acknowledgement forms with the oldest child in each family. Please sign and return by Friday, August 31st. You may click on the following link to access the handbook. Any families planning on using Extended Daycare for the 2018-2019 school year must have all paperwork completed prior to using. Completed forms may be submitted to the school office. You may contact Danielle Gibson at 801-527-2033 with any questions. Please make sure that if you have not yet completed our Family Information form, that you do so by Friday, August 17th. The form is available here. The information requested in this form is necessary as we build our contact lists, emergency contact information, allergy information, etc. Thank you for your help! If you plan on having hot lunch (and have not yet set up your child (ren), please click here to set up. If you have any questions, please contact the school office. Beginning Band will be starting on Monday, August 30. This band is offered to all fourth grade students and is held during their regular music class period. Those taking band, would do so in place of attending their regular music class with Mr. Radu. The 4th grade music curriculum requirements can be met through band instruction. Honor Band will be held after school on Tuesdays and Thursdays from 3:05-4:00 starting Tuesday, August 21st. This band is offered to all students in 5th-8th grades. Even if your child has never been in band before, they may enroll in this exciting class. Both bands perform at numerous school and outside events throughout the year including assemblies, Masses, the Diocesan Band Festival and the St. Patrick’s Day parade. The Children’s Choir will start on Wednesday, August 22nd and is open for all students in grades 3-5. The choir meets after school each Wednesday from 3:20-4:15 in the band room (downstairs of Holy Family Hall). The choir will provide music for several school Masses, a few weekend parish Masses, and a few concerts throughout the school year. Middle School Chorus For students in 6th-8th grade. Practices will be on Thursdays from 7:30-8:10 in the band room (downstairs of Holy Family Hall) starting on Monday, September 6th. This chorus will provide music for several school Masses, a few weekend parish Masses, and a few concerts throughout the school year as well as special field trips. For more information on these ensembles, including how to get a registration form, please visit the school website or contact Mr. Larrabee at 801-527-2056 or slarrabee@stvincents-school.org. 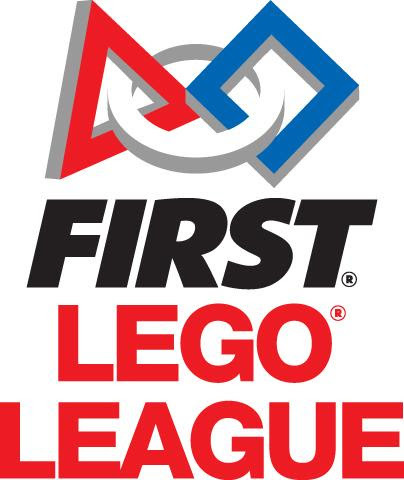 Calling All Young Lego Leaguers! Hello SPACE CADETS! (We mean that in a GOOD way!) The First Lego League is back in force, and this year’s theme is “Into Orbit!” If you are a budding engineer, computer programmer, science fair presenter, or just a great team member, FLL needs you. We have as many as 10 slots on the team. It’s a serious commitment, weekly meetings (TBD) to prepare for the three judged segments of our competition in January: 1) Building and programming an autonomous robot as a team; 2) A Science-fair type presentation (solving a physical or social problem faced by humans during long-duration space exploration); and 3) Our teamwork itself. It’s a great experience- a lot of work, and a lot of fun!! Jump over to goo.gl/PSTwYX to find out about FLL, and you can let us know if you are interested – so we can get started right away!